Our kitchen utensils are made with top quality materials, with durability that lasts for years. Bake unique and varied mini-pies! like a master chef and impress every crowd! ✔ Become a master chef in one minute even if you don’t have skills yet. ✔ Make stuffed pastry look insanely fancy with little effort. ✔ Your passion for cooking and baking will be felt in every bite! ✔ Excellent for making sweet and savory filled lattice pastries. ✔ Enrich your life with new and creative meals. like a master chef and get to impress every crowd! Powerlix's latest recipe eBook, containing 8 splendid recipes of America's favorites pies, with steps photos and preparation video of the recipe. A hardcover recipe book that contains instruction for using The Mini Pie Stuffer, along with 5 irresistible recipes. Excellent place for storing all clean parts and making sure not to lose anything. May also store the slicers here while cutting the dough to make your workspace more comfortable. The tool that makes the magic! It's a cutter, a presser, and storage for the other cutters. This stick helps you gently remove the leftovers dough from the cutout and from the cutter itself. All that without damaging the nice shape of the cutout. Slice your dough into a cubic lattice pattern. The cubic pattern leaves no room for imagination. The filling is eye-catching and immediately invites the senses to a supreme taste. Slice your dough into a round lattice pattern. If you want your pie to have a perfect bakery look- this is it. It gives the pie crust a precise shape that looks professionally made! Slice your dough into a wavey lattice pattern. The wavy pattern makes the pie look incredibly irresistible and allows only a glimpse through the small slots as to what is waiting inside. Hardcover "Sweet & Salty" recipe book with 5 recipes of goodness, and an eBook "America's 8-Most Favorite Pies - In Mini Style" which contains 8 delicious and unique Pie Recipes. Get your order in 2-7 days. We are making tremendous efforts to get your order as soon as possible. Your satisfaction is our will. Our products are made of top-quality materials, with durability that lasts for years. That's why we grant a 3 YEAR GUARANTEE for every Tescoma product, NO questions asked! Reinventing yourself in the kitchen is the hardest thing to do! With the Mini Pie Stuffer, you become limitless with the variety of fillings you can make. Creativity will become your trademark. Our products are made of top quality materials, with durability that lasts for years. That's why we grant a 3 YEAR GUARANTEE for every Tescoma product, NO questions asked! I LOVE IT ❤️ DELIVER IT TO ME! "The perfect size for individual desserts. Very durable, easy to use. Great for pocket pies! Easy clean (basically rinse, no scrubbing needed) and dry. I'm ordering a second set of these to gift my mom too!" I have already used it several times. It works perfectly and so quickly. I think some of my friends may be planning to buy their own pie maker as they were very impressed with my results. I didn’t expect it to have a good result. My Apple pie looked yummy! I use pie crust at the bottom and pastry crust on top! Love it! Nice when not everyone likes the same type of pie. Yes, our kitchen utensils are made with top quality materials, with durability that lasts for years. 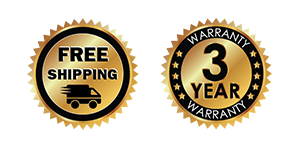 That's why you get a 3-year warranty and 30-day money back guarantee for the product, no questions asked! They're 12.5cm x 11.5cm x 6.5cm, and all parts are stored within the Maker. This product is also dishwasher safe. All our products are shipped within the United States. All our orders are shipped within 2 business days of your order via FedEx/USPS/UPS. Please allow 2-7 business days for delivery. Is this product for beginners and professionals alike? Definitely. The Mini Pie Stuffer was designed for beginners, to help them overcome the fear of "didn't-come-out-so-well" results, and to provide them with a tool which will give assurance during the baking experience. As for professionals, re-inventing your creativity is the name of the game. With the Mini Pie Stuffer, you become limitless with the variety of fillings you can make. Creativity will become your trademark. What if I love the product but don't know any recipes? Not to worry. You get 2 recipes books for FREE, a hardcover cookbook and a special e-Book, which includes 13 delicious recipes in total with step by step photos and prep videos! And once you get the hang of it, you will start to create your own recipes. Powerlix is a family run business with over 5 years of a succesfull Amazon store of innovative products. Recently, we became the an exclusive distributers of a giant company from Italy called Tescoma, which has stores in over 110 countries in the world and more then 3000 life-chainging products, and one of them is the Pie Maker. Powerlix is the official and excslusive distributers of Tescoma in the USA.